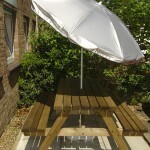 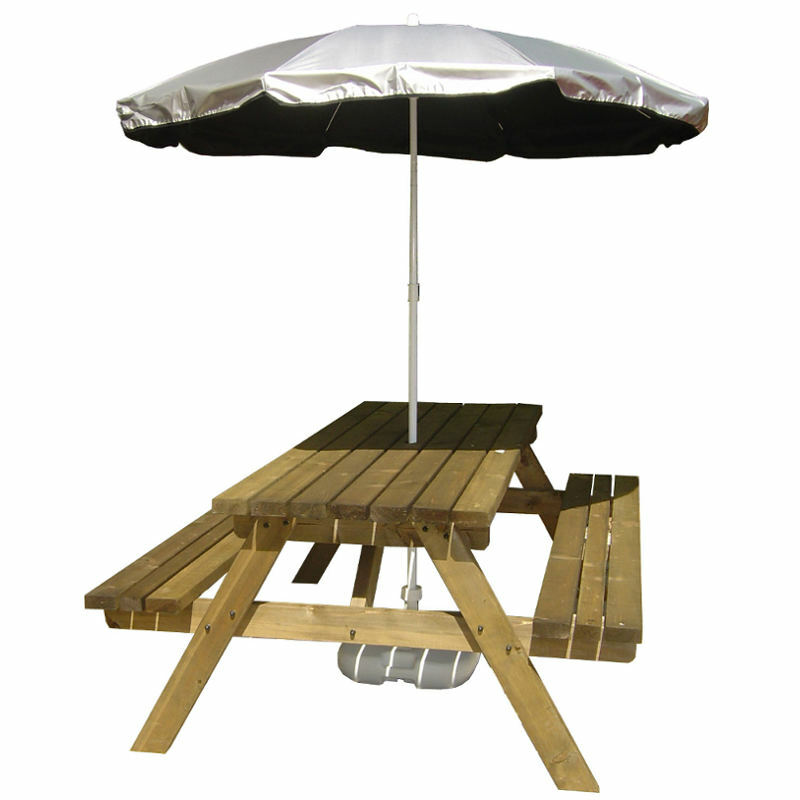 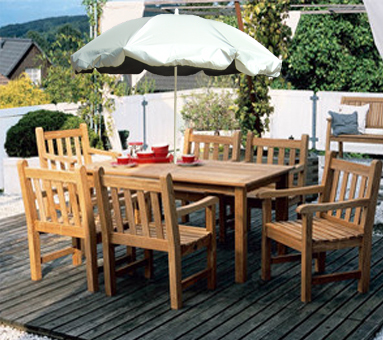 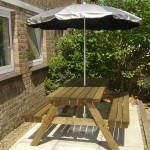 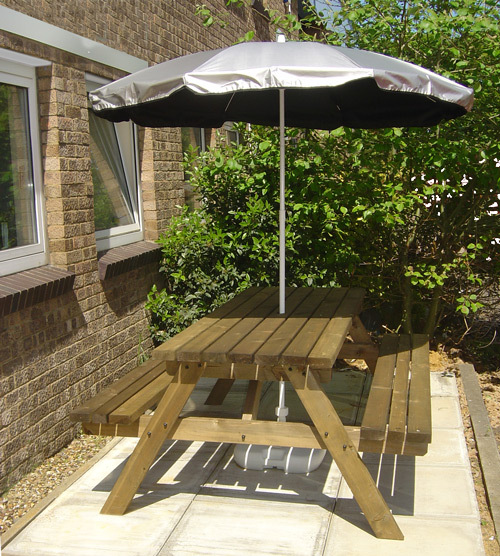 Construction is as important as the protection levels offered; so the Silverback UV Garden Parasol features strong steel ribs for added stability in breezy conditions and a gloss white two-piece powder coated shaft with an easy to use height-adjustable clamp (minimum height 125cm & maximum height 205cm). 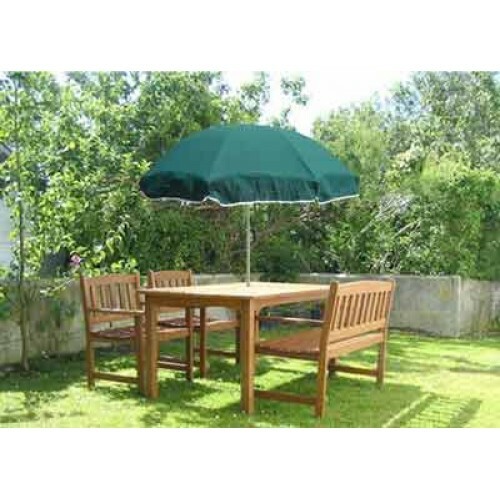 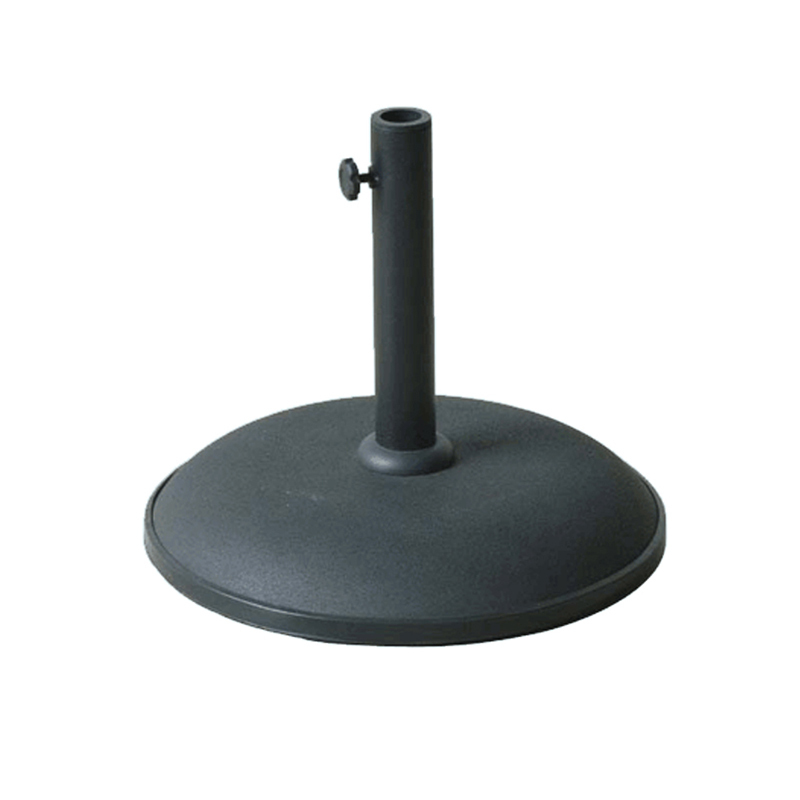 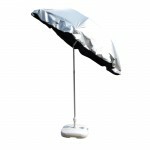 To complete the feature list these excellent UV (UPF50+) protection parasols include a tilt adjust mechanism for alternate angle positioning. 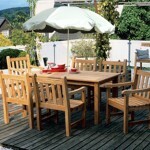 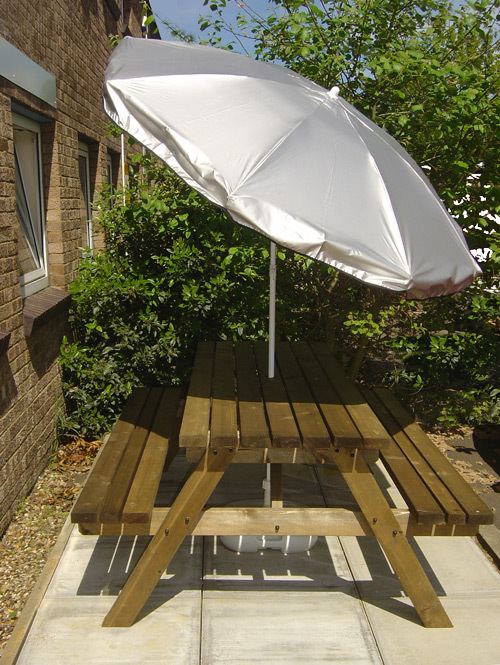 Stay cool and covered in your garden, on the patio or on the beach as the sun ambles across the sky. 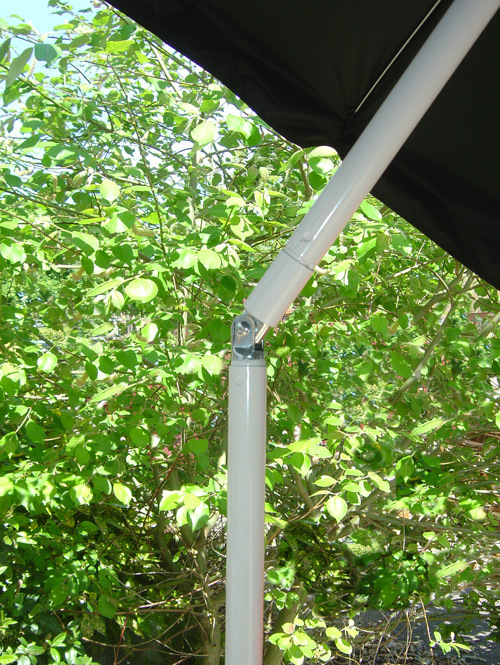 The canopy span is a substantial 180cm, approx 70″. 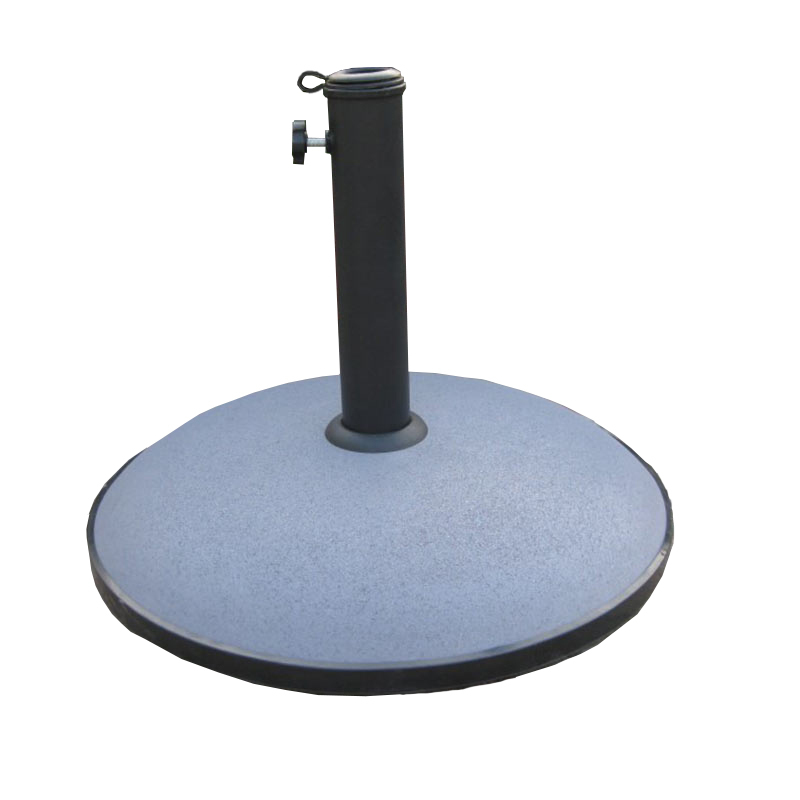 Net weight 2 kg. 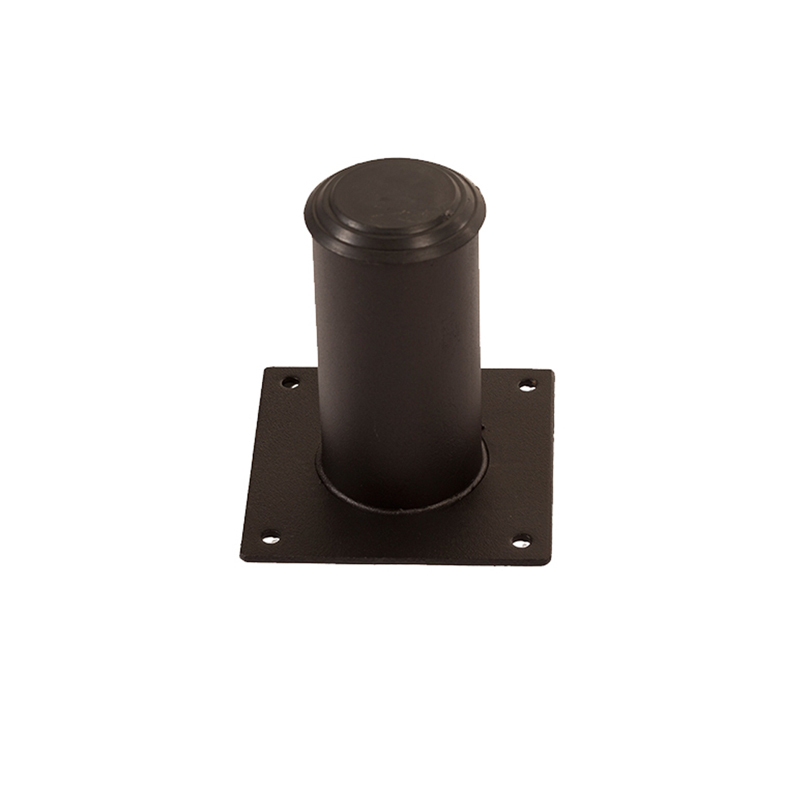 Please note: the base unit is NOT included. 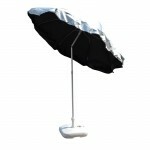 The Silverback UV Garden Parasol (or Beach Sun Umbrella) is an exceptionally high quality sun protective umbrella. 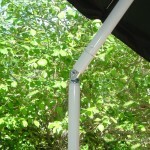 The metallic silver canopy creates an almost total block to direct UV rays. 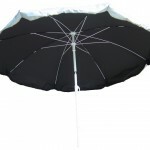 Additionally and importantly, if you have sensitive skin, the underside of this large UV protective umbrella canopy is a matt black colour. 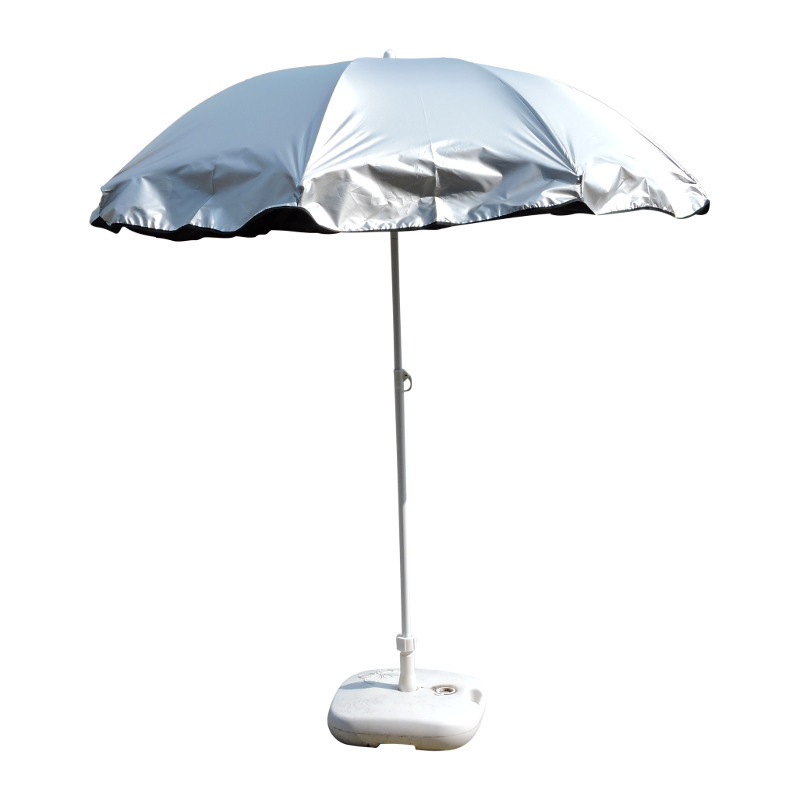 Beware: many other so called UV garden parasols have the metallic silver on the underside which can have the effect of concentrating the sun’s indirect UV onto your head and shoulders – concentrated by the almost parabolic shape of the umbrella. 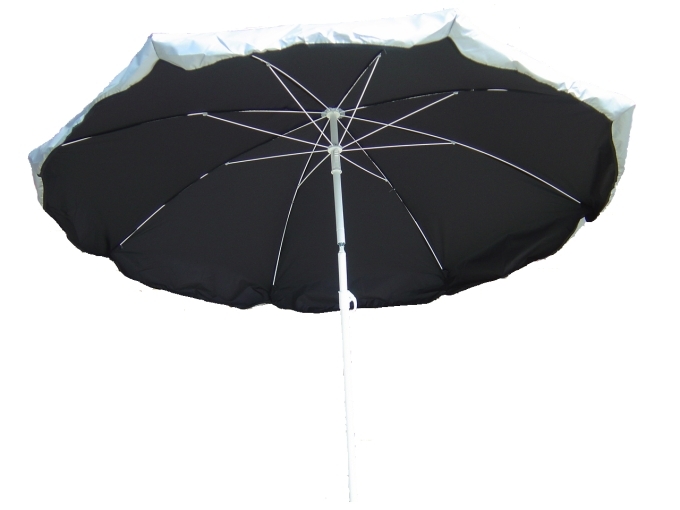 Our specially designed Silverback range of sun umbrellas and parasols have a matt black underside which absorbs rather than reflects the indirect UV rays, giving added protection. 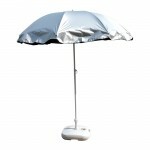 This parasol is perfect for my granddaughter’s sensitive skin condition, very UV protective but also very good quality.